If you've been eyeing Samsung's Galaxy Note but don't want to pay full price, 1SaleADay may be able to help. 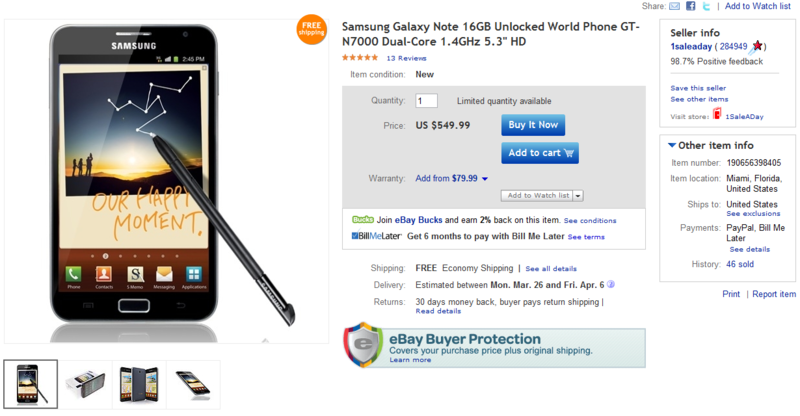 1SaleADay has listed the Unlocked, 16GB variety of the Galaxy Note on eBay for just $549.99 (with free shipping). That's a cool $50 less than the last deal we saw on the Note. Sound good? Thought so. Click through the link below to take advantage of the deal.